POLAND - A prayer service will be held on Wednesday at 9:15 a.m. at the Higgins-Reardon Funeral Homes, Poland Chapel followed by a 10 a.m. Mass of Christian Burial at St. Dominic Church, in Youngstown for Mrs. Elizabeth “Betty” Murberger, 85, who died Saturday morning at Masternick Memorial Healthcare Center. Betty was born Nov. 1, 1932, in Youngstown, a daughter of George and Lorinea (Collins) Krohmer. She was a 1951 graduate of Ursuline High School and had worked at McKelvey’s Department Store in the gift wrap department. Betty was a member of the church. Her greatest joy was being a wife and mom and spending time with her family. 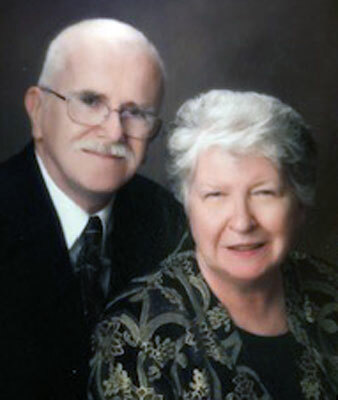 Betty married the love of her life, Edward S. Murberger on Oct. 20 ,1951, and he died June 25 ,2013. She leaves to cherish her memory, her four daughters, Bobbie Ann (Pete) Santamas of Youngstown, Jayne (Don Cross) Davis of Warren, Beth (Brian) Durkin of Poland and Mary Ann (Ken Sicafuse) Murberger of New Middletown; two sons, Edward M. (Jeanette) Murberger of New Middletown and George (Teresa) Murberger of Boardman; nine grandchildren, Steven and Bryan Murberger, Lauren Egercic, Amanda Simione, Veronica Murberger, Nicholas and Matthew Santamas, Michael Cross and Dominic Durkin; and two great-grandchildren, Spencer Simione and Aiden Murberger; and her sister, Dolores Peters of Poland. Betty was preceded in death by her parents; her husband, Edward; a sister, Mary Pozega; and a brother, George Krohmer. Friends may call on Tuesday from 4 to 7 p.m. at the funeral home. The family would like to extend a special thank you to the staff at Masternick Memorial Health Center for the compassionate care provided to Betty. Memorial contributions may be made in Betty's memory to the Alzheimer’s Association.